Just before I consult the random number generator, I experience a sense that there are unlimited possibilities. I ask “What video game will I be writing about next?” My list of completed games is relatively vast, spanning 252 titles. Subtracting the games I’ve already written articles on, the random number generator chooses between 222 games. It could be almost anything. Will it be an amazing game experience to share with others? Will it be a laughably bad game to warn people away from? I never think about the possibility that it might be somewhere boringly in the middle, but sometimes it is. 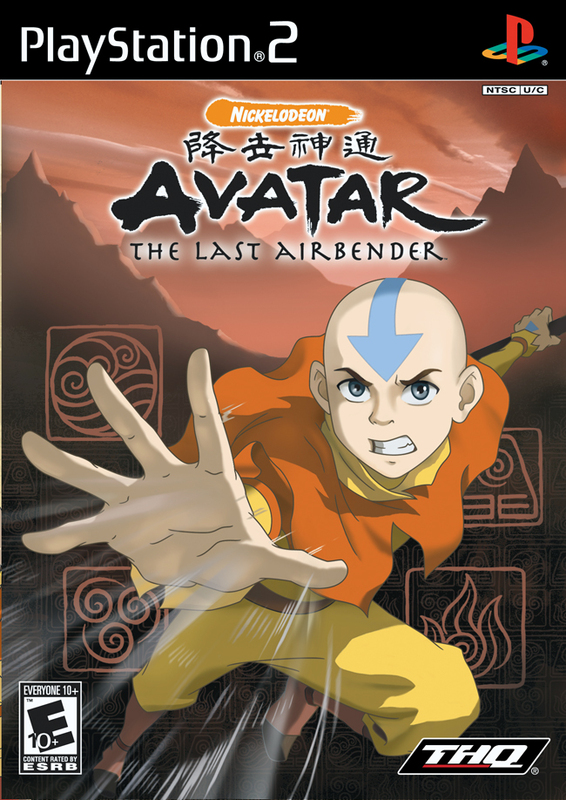 The random number generator has determined that my next article will be about the game called “Avatar: The Last Airbender” which I beat on the PlayStation 2. It was a game I found in the bargain section of my local GameStop store. 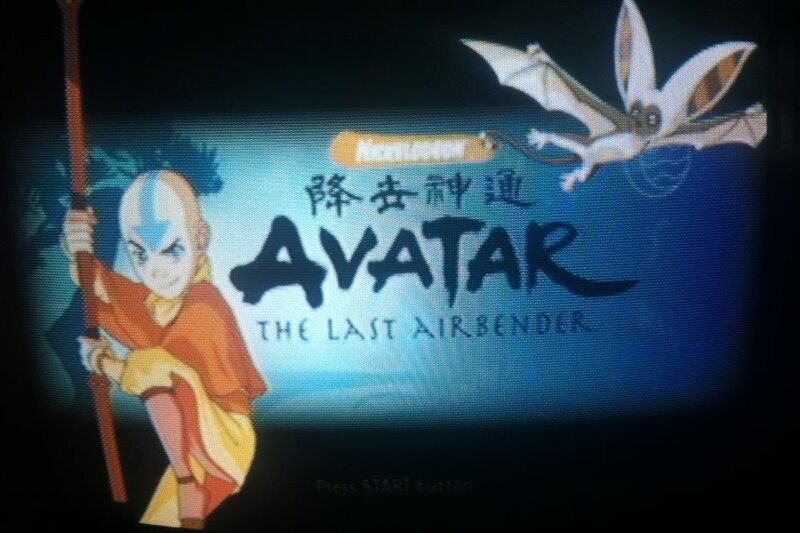 What drew me to it was that when I found it, I was at that time watching the Avatar series on Netflix, and it was a pretty good show, so I figured that the video game for it might not be terrible. I was right. It’s not the best game out there, but it was decent for a game based on a TV show. The game had its own separate story from the show, and I could tell that it took place at some unspecified point during season 1 (Book Water). 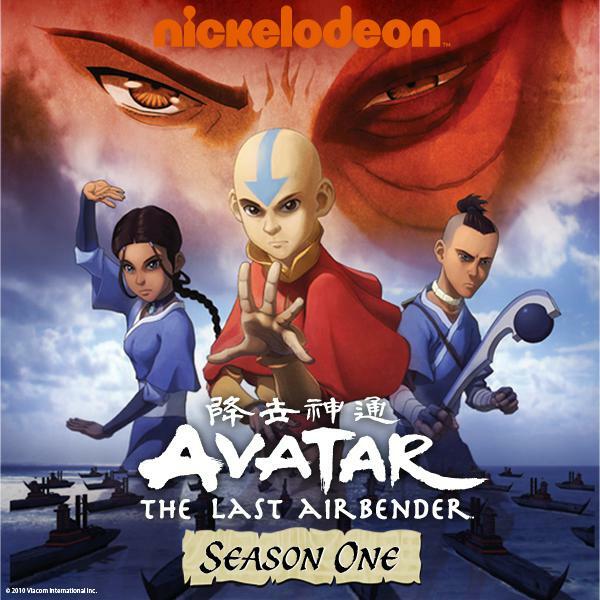 Avatar was an animated show on the television channel Nickelodeon, but unlike other shows fitting that description, Avatar was not quite a comedy and it had a storyline with episodes intended to be viewed in sequence from beginning to end. Each episode started with information telling the viewer exactly what part of the story they were watching, with each season being referred to as a book, and the episode number of that book being disclosed at the start so that you could figure out the correct order to watch the episodes in even without help from the Internet. 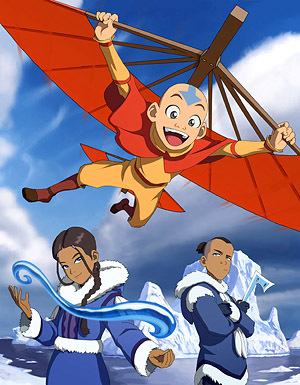 Back before I had watched any anime series in full, I saw an episode of Avatar and gained a sense of hope that I would some day watch a cartoon story unfold from a first episode to a last. I realized that an episode of a show could be labeled with its position within the series as a whole, which is something that the Pokémon anime doesn’t do, for example. This was the best DVD purchase I made in my entire life. 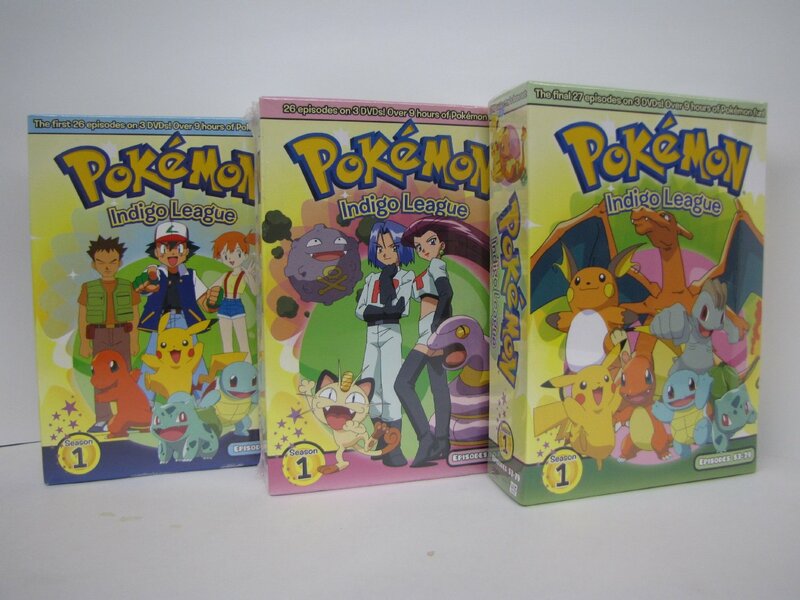 I could finally watch the first season of Pokémon in the correct order. 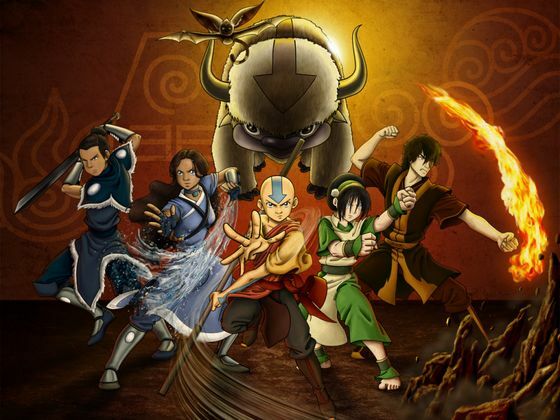 Avatar was great not only because of its continuity, but because of its compelling characters and universe. The world of Avatar is all about the four classic elements, which are Water, Earth, Fire and Air. Some people can wield those elements, and they are called benders. There is one person, however, capable of wielding all four elements and is continuously reborn upon his or her death. 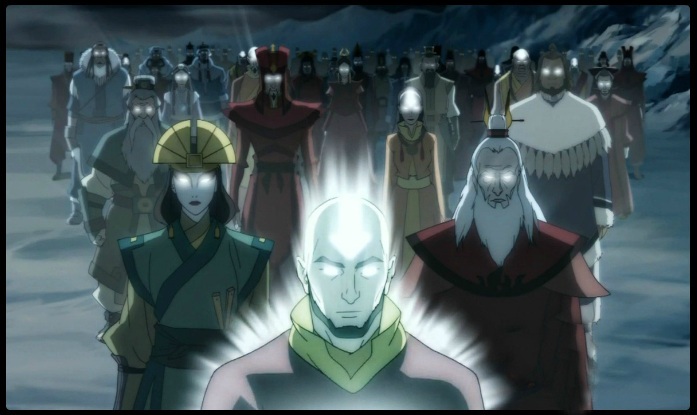 That person is called the Avatar, who not only is capable of wielding the four elements but can also access the memories of past avatars. Ability to converse with past Avatars is my favorite aspect of the show. 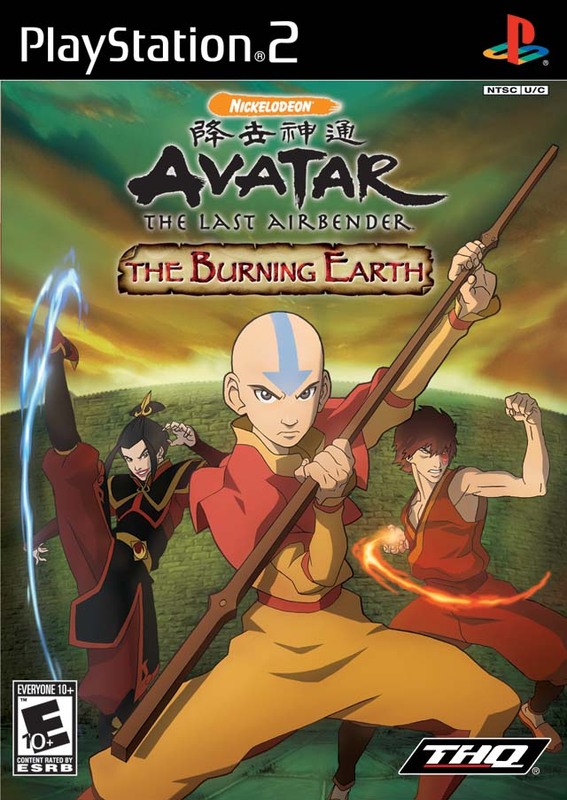 At the time in which this game takes place, the Avatar is a boy named Aang who happens to be the last surviving air nomad in the world. 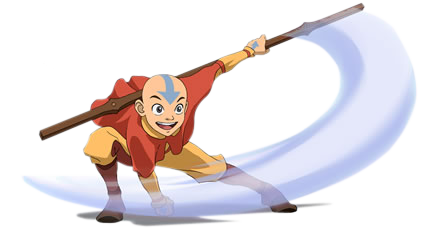 Because of that, not only is he the Avatar but also the only person alive who can use air bending techniques. He is exploring the world, trying to learn how to use the other three elements. 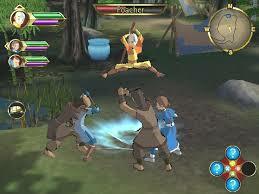 Spoiler Alert: The story of the game had something to do with robots, but I forget exactly how, and it introduced an Earthbender that joined Aang’s party for a while, since it was before Toph was introduced in Season 2 and presumably the game designers wanted the players to have access to all of the elements except for fire, which at that time is used only by the bad guys in the overarching story. Of what I remember, my favorite aspect of this game was its cel shaded graphics, which fit well visually with the TV series. The rest of the game was tolerable. The fact that I don’t remember a whole lot about the game indicates to me that it must not have been very interesting. I seem to remember that there were puzzles that involved different benders doing different things, with the player being able to control each character individually. 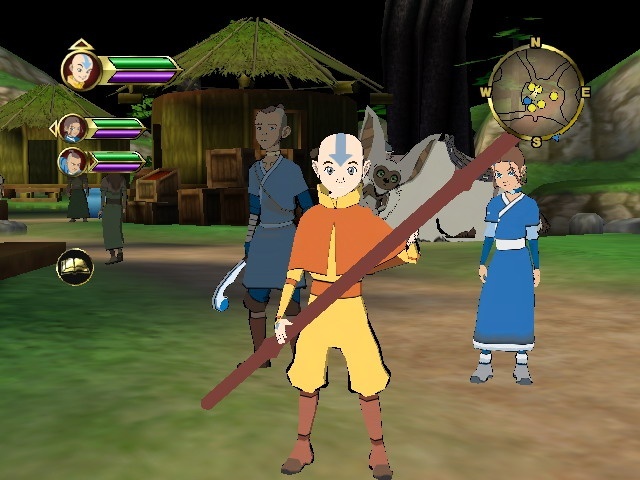 The non-bender in the party (Sokka) used a boomerang to solve puzzles and damage enemies, so he was still helpful to the group in combat and in dungeons. I recall that there was also a leveling system. The characters in your party would get stronger as they accumulated experience points from fighting enemies. 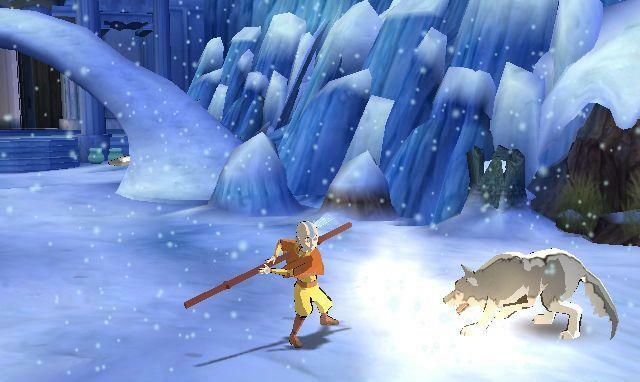 It seems weird to me that even though Aang is a vegetarian, he would beat up a wolf just to raise his combat level. Technically it must have been an action RPG, but it wasn’t as difficult as the genre implies. 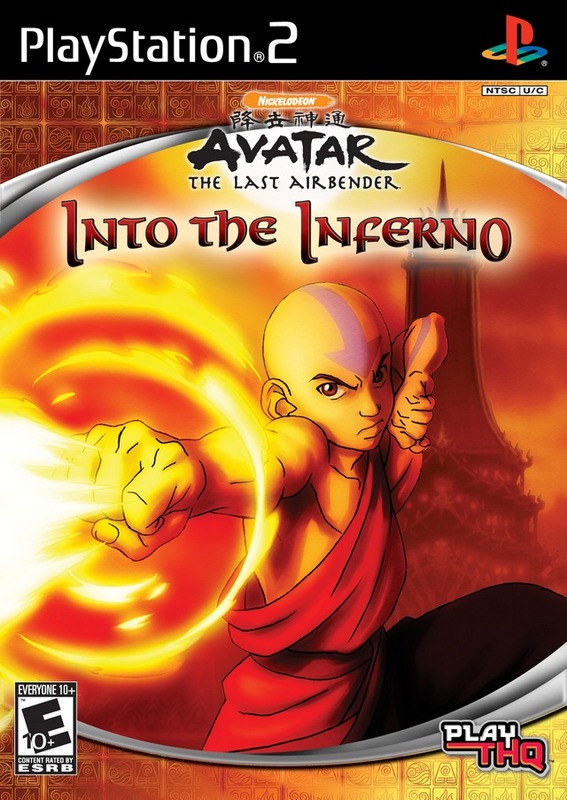 While I do remember a few things about the game, I don’t remember not having fun, and that makes me consider playing the other two games in Aang’s trilogy some day when I’m bored (The Burning Earth and Into the Inferno). We’ll see if that ever happens. The show Avatar: The Last Airbender gets an “A” from me though. If you want an interesting universe to be immersed in, I definitely suggest watching it. I forget if it’s still on Netflix or not, but I’m sure you can find it somewhere.